On Thursday evening (and continuing well into Friday morning), in Game 5 of their Western Conference semi-final series, CSKA and Jokerit smashed the League record for the longest single match. Khl.ru gives an overview of the major faces, factors, facts andfigures behind this amazing contest. While reigning champion SKA Saint Petersburg was booking its place in the Western Conference final with a repeat of last year's win over Lokomotiv, there was no sign of anything unusual on the cards in the other semi-final in Moscow. 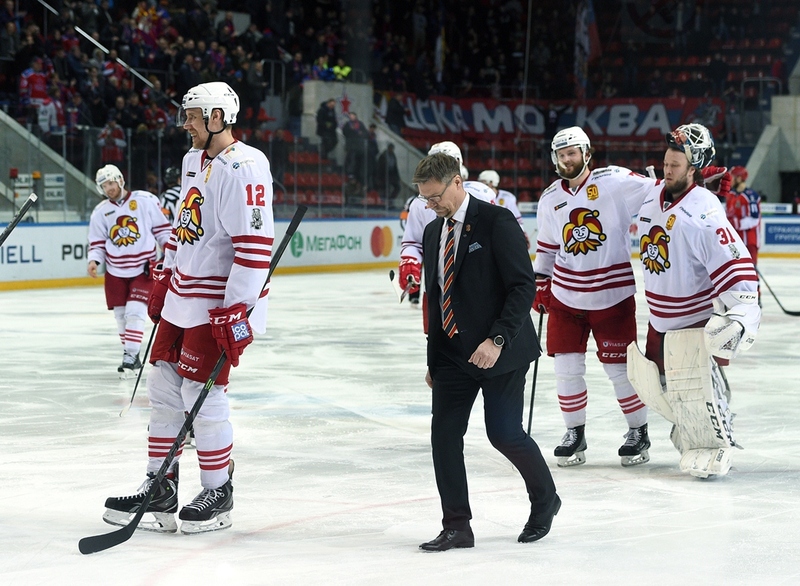 Home team CSKA, 3-1 ahead in the series and seeking to wrap things up in front of their own supporters, and Jokerit, hoping to prolong its season and take the Muscovites back to Helsinki, scored a goal apiece before the first interval. Few imagined this would be followed by six goalless periods and a marathon of endurance. Before the overtime deadlock was finally broken in the 143rd minute, there had been two phantom golden goals, as each team joyfully celebrated scoring the winner before harsh reality, delivered by the video goal judge, cruelly wiped out the goals. 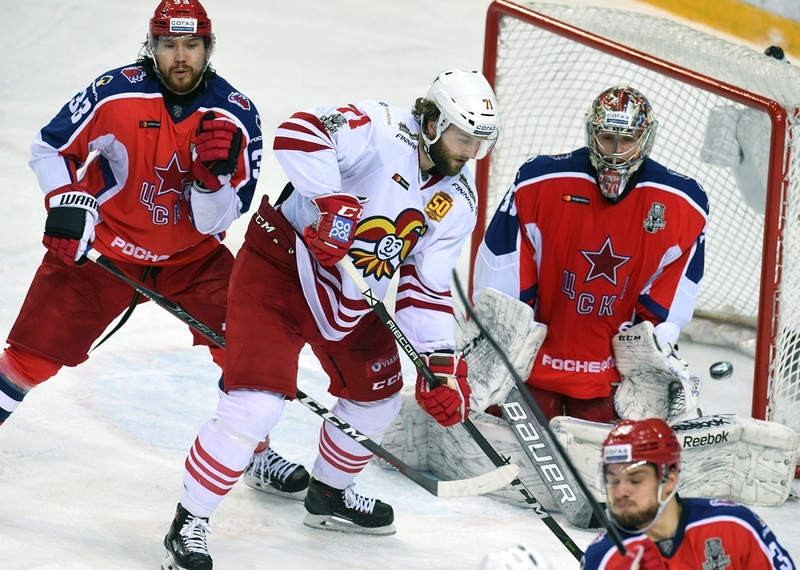 Soon, hockey fans in Vladivostok and Khabarovsk could wake up and watch a live broadcast of a Gagarin Cup playoff match over breakfast, before Mika Niemi's goal ended the game and extended the series. While no-one expected a record-breaking epic, we should concede that if any pairing were to test the longest-game record, then the smart money would go on CSKA-Jokerit. Two of the previous games in this series were settled by the odd goal, and while last year's series between the pair only stretched to four games, all of them were closely-fought battles decided by a one-goal margin. The previous record belonged to a clash between two exciting teams who are sadly no longer with us - Lev Praha and Donbass Donetsk, who back in 2014 slugged it out for 126 minutes and 14 seconds. On Thursday, the Army Men and the Jesters added more than a quarter-of-an-hour to this total, and the scoreboard clock finally stopped at 142:09. Perhaps it would be more accurate to say, “Most heroic hero of the day,” as while the word, hero, is overused in today's emotional media climate, few would dispute that all the participants of this gladiatorial contest fully deserve the title. It is extremely hard, physically and mentally, even for professional, top-level athletes to play two hockey matches on consecutive days, but the men from the Russian and Finnish capitals played the equivalent of two consecutive games in one night. With more than twenty minutes to spare. When it was all over, the shots-at-goal tally read 84-48, and popular veteran netminder Karri Ramo had set a new KHL record with 83 saves(!) while the ice-time recorded by some of the skaters, most notably defensemen Sami Lepisto of Jokerit (52:19) and Mat Robinson of CSKA (54:12), more resembled the figures usually enjoyed by goaltenders. The contest was finally settled in dramatic fashion by Helsinki forward Mika Niemi, with his first goal of the current playoffs. Among those who spent the night of the 22nd and the morning of the 23rd of March, 2018, on the rink at the CSKA Ice Palace, smashing the endurance record set four years ago by Lev Praha and Donbass Donetsk, were two of the participants of that epic Czech-versus-Ukrainian struggle. 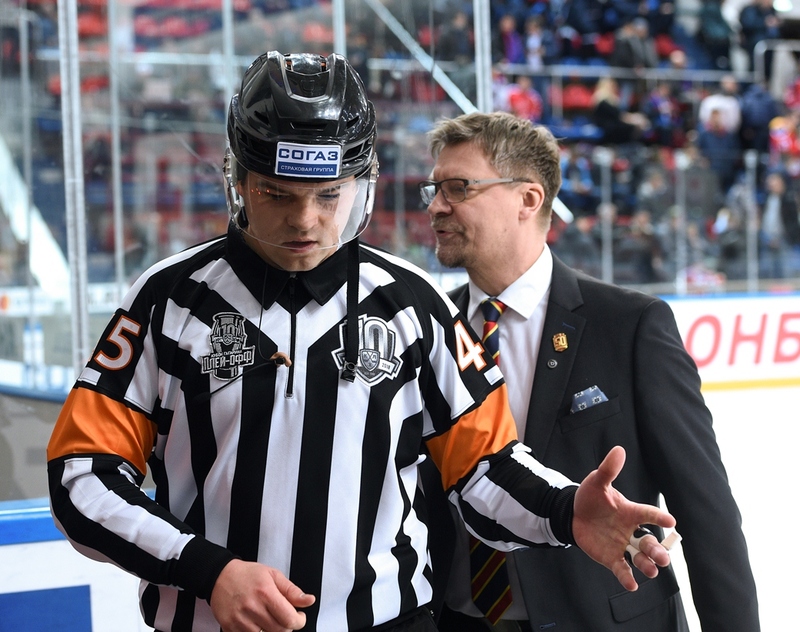 Petteri Wirtanen, Jokerit's 31-year-old defenseman, was then wearing the colors of the Donetsk team and spent more than 41 minutes out on the ice, while referee Roman Gofman was on duty in both epic encounters. This selection raises the obvious question: why give the goal of the day accolade to the opening strike by the team which eventually lost, rather than to Niemi and the fatal blow he struck in the fifth period of overtime? The latter was certainly more important in the confines of the single game, but Kaprizov's strike is an ominous sign of things to come during the 2018 knockout stage. The 20-year-old forward ended February as the Army Men's second-highest scorer and starred as the Russia team became Olympic champion, but for his previous goal in the tenth KHL season we have to go all the way back to December the 29th, 2017. Now, after drawing a blank in 17 matches, the youngster's scoring touch has returned. It is unlikely to go away anythime soon.